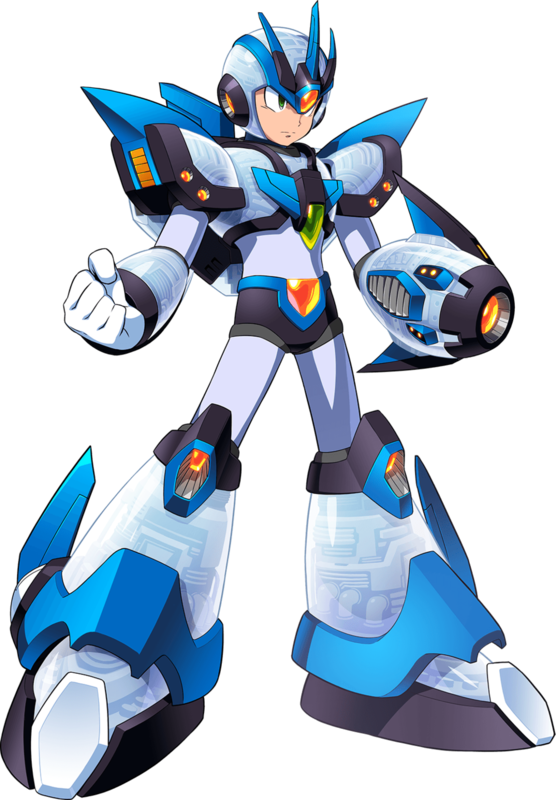 May 24, 2018 / LBD "Nytetrayn"
We're almost at the midway point between when the two Mega Man X Legacy Collection titles were announced and when they're scheduled for release (July 24th), and in the interim, we haven't heard a whole lot about the new "X Challenge" mode, except that it allows you to take on two bosses at one time. Well, that changes today. Perhaps the most interesting facet of this entire scenario is the fact that there will apparently be a story mode attached to tie this all together, perhaps even making the new mode a part of the series continuity. It's no Mega Man X9, but as the first new Mega Man X game fiction since 2005 (2004 if you're not inclined to include Mega Man: Maverick Hunter X), it may serve as morsel enough for some long-since starved fans. As far as the content goes, there are "X Challenge" modes across both games, each with one respective volume to call their own. Despite this, Mavericks featured are not limited to the collection the volume belongs to. For instance, one screenshot depicts Slash Beast (Mega Man X4, included in Mega Man X Legacy Collection) and Grizzly Slash/Crescent Grizzly (Mega Man X5, included in Mega Man X Legacy Collection 2) fighting together. Perhaps we can expect a reunion of Squid Adler/Volt Kraken (Mega Man X5) with his colleague Launch Octopus (Mega Man X) as well? Incidentally, in case there was any doubt lingering, there's no evidence to suggest that the 3D modeled Mavericks of Mega Man X7 and Mega Man X8 will join their 2D pixel art comrades in this engagement. There doesn't seem to be anything saying they won't, either, so while there is a chance for a pleasant surprise, it may be best to keep your expectations in check. With that said, further evidence against the likelihood of Red Alert or New Generations Reploids showing up is that you'll have nine weapons to choose from before entering battle, and they're all from Mega Man X through Mega Man X6. Of the nine, you'll only be bringing three with you, though, and you can't change them out until you clear an area (consisting of levels such as 1-1, 1-2, etc.). Back when the mode was first announced, some of us noticed there was something... off about X. Specifically, while the armor he was wearing resembled the Ultimate Armor, it was the wrong color. This, it turns out, is an all-new armor for X that is exclusive to the X Challenge mode. While it looks like the Ultimate Armor we all know and love from the three PlayStation titles, it's apparently different enough to be considered a separate armor all its own, at least where series canon is concerned. Further details about said armor, including its actual name, are unfortunately sparse at the moment. Hopefully we'll hear more about that, as well as any new tricks or whatever else differentiates it from its inspiration, sooner than later. Either way, just two months to go (and we have this awesome new art in the meantime)! X Challenge mode is said to have 27 stages, though whether that's in total across both games or per volume is unknown (Ash at GameXplain suspects the latter). The difficulty selection will affect a variety of factors as well, including not just how strong the Mavericks are, but whether life is refilled between stages and time is carried over. And of course, there are leaderboards, so be sure to bring your best effort! That's pretty much everything to report here, but what do you think? Does X's new armor have you excited? Are you hoping for new cutscenes to accommodate the story? Share your thoughts in the comments below!